Human Rights NGO Amnesty International has corroborated new evidence showing that the Saudi Arabia-led military coalition recently fired Brazilian-manufactured rockets containing banned cluster munitions in the middle of Sa’da city in Yemen, injuring two civilians and causing material damage. The attack, striking three residential areas and surrounding farmland at 10.30pm on 15 February, is the third confirmed use of Brazilian cluster munitions documented by Amnesty in the last 16 months. Following the attack, Amnesty interviewed eight local residents – including two witnesses – one of whom was injured in the incident. 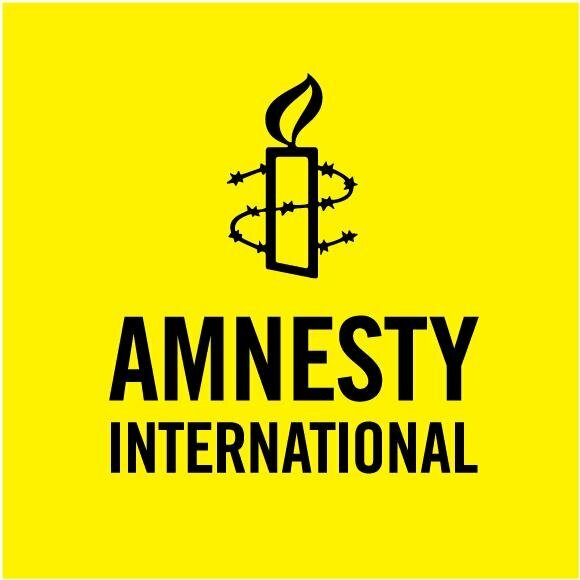 Amnesty also spoke to a local activist and analysed photographic and video evidence provided by Yemen’s munitions watchdog, the Yemen Executive Mining Action Centre (YEMAC), which inspected the site within 30 minutes of the attack. YEMAC staff also confirmed the use of the same type of cluster munitions in a separate attack in late January in the directorate of Abdeen, three miles south of Sa’da city. According to witnesses and local residents, rockets struck the residential areas of Gohza, al-Dhubat and al-Rawdha on 15 February, resulting in submunitions also landing on homes in al-Ma’allah and Ahfad Bilal and surrounding farms. While Amnesty is aware of the presence of a military objective – Kahlan Military base, two miles north-east of the city of Sa’da – the presence of a military objective in itself would not have justified the use of internationally-banned cluster munitions – particularly not its use on populated civilian neighbourhoods. And even though Brazil, Yemen, Saudi Arabia and members of the Saudi Arabia-led coalition participating in the conflict in Yemen are not parties to the Convention, under the rules of customary international humanitarian law they must not use inherently indiscriminate weapons, which invariably pose a threat to civilians. The customary rule prohibiting the use of inherently indiscriminate weapons applies to their use under all circumstances, including when the intention is to target a military objective. “How many more civilians need to be killed, injured, or see their property destroyed through use of these internationally-banned weapons, before the international community condemns the use of cluster munitions by the Saudi Arabia-led coalition and pressures coalition members to immediately become parties to the Convention on Cluster Munitions? “The Saudi Arabia-led coalition absurdly justifies its use of cluster munitions by claiming it is in line with international law, despite concrete evidence of the human cost to civilians caught up in the conflict. Based on the description of the YEMAC team, and after examining photographs and videos of the aftermath of the attack – including photos of the carriers and one unexploded submunition – Amnesty was able to identify the remnants used in the attack as being an ASTROS II surface-to-surface rocket. The ASTROS II is a truck-loaded, multiple-launch rocket system (MLRS) manufactured by Brazilian company Avibrás. ASTROS II is capable of firing multiple rockets in rapid succession, with each rocket containing up to 65 submunitions, with a range of up to 50 miles, depending on the rocket type. The company’s marketing presentations describe it as being “an important defence system with great deterrent power”. 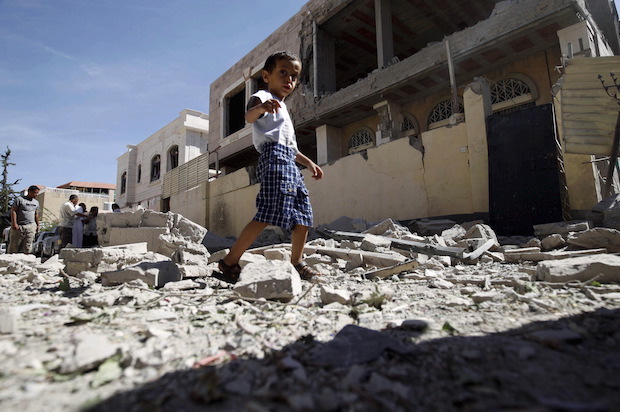 Amnesty documented the first known use of the ASTROS II rocket in Yemen on 27 October 2015 in Ahma, north of Sa’da city, where at least four people were wounded, including a four-year old girl. In May 2016, Amnesty found further evidence of the same type of cluster munitions in villages 19 miles south of the Saudi Arabian border in Hajjah. Meanwhile, last December, Human Rights Watch also documented the use of Brazilian cluster munitions on Sa’da city. According to the Landmine and Cluster Munition Monitor body, Avibrás has sold this type of cluster munition to Saudi Arabia in the past. To date, Amnesty and HRW have documented the use of seven types of air-delivered and ground-launched cluster munitions made in Brazil, the USA and the UK. On 19 December, the Saudi-run Saudi Press Agency reported that the Saudi Arabian government would stop using a UK-made cluster munition – the “BL-755” – but contended that “international law does not ban the use of cluster munitions” and while some states are party to the Convention on Cluster Munitions (CCM), “neither the Kingdom of Saudi Arabia nor its coalition partners are state parties” to the CCM. It further claimed that UK-made cluster munitions used by the coalition had been used against “legitimate military targets” and that the cluster munitions were “not deployed in civilian population centres” and that the coalition “fully observed the international humanitarian law principles of distinction and proportionality”. Earlier in 2016, Amnesty had discovered the use by the Saudi-led coalition of the UK-manufactured BL-755 in northern Yemen. One UK cluster bomb had apparently malfunctioned and left scores of deadly unexploded “bomblets” strewn over a wide area near a farm in Al-khadhra village in Hajjah governorate, six miles from the Saudi Arabia border. A local farmer reported seeing the cluster bomb attack in January 2016. For months after this, the UK Government denied that there was reliable evidence of the use of UK cluster munitions by the Saudi-led coalition in Yemen. Previous post The Budget: Head vs Heart?